Late May, 1838, the U.S. Army, under the command of General Scott, started the round up of the citizens of the historical Cherokee Nation. The Cherokees were then taken to stockades and held for removal to west of the Mississippi River. This is the sad chapter of history now remembered as the Trail of Tears. The Rev. Daniel S. Butrick recorded his observations of the round up and the removal in his journal. I think his entry from Brainerd. May 26, 1838. [Saturday] explains the brutality and horror the Cherokee people experienced during the round up. "The daily words in the United Brethern textbook were, "I am thine. Save me." (p.s. 119:9) This day a number of Georgia citizens near New Echota took sixteen Cherokees and drove them to the fort and then requested permission of General Scott to take them out and whip them, though in this they were not gratified. This was done probably to remind General Scott that no farther delay would be made with regard to collecting the Indians. The soldiers at the various posts now commenced that work which will doubtless long eclipse the glory of the United States. General Scott gave orders that no improper language should be used towards the Indians, and that in case any of them attempted to escape by flight, no gun should be discharged at them. But these orders were, in general obeyed or not, according to the disposition of the under officers, and soldiers. In Georgia were supposed to be about 8,000 Cherokees. These, in general were taken just as they were found by the soldiers, without permission to stop either for friends or property. As the soldiers advanced towards a [unreadable] house, two little children fled in fright to the woods. The woman pleaded for permission to seek them, or wait till they came in, giving positive assurances that she would then follow on, and join the company. But all entreaties were vain; and it was not till a day or two after that she would get permission for one of her friends to go back after the lost children. A man deaf and dumb, being surprised at the approach of the armed men, attempted to make his escape, and because he did not hear and obey the command of his pursuers, was shot dead on the spot. One man it is said, had shot a deer, and was taking it home to meet the joyful salutations of his family, when at once he was surprised & taken prisoner to a fort. Women absent from their families on visits, or for other purposes, were seized, and men far from their wives and children, were not allowed to return, and also children being forced from home, were dragged off among strangers. Cattle, horses, hogs, household furniture, clothing, and money not with them when taken were left. And it is said that the white inhabitants around, stood with open arms to seize whatever property they could put their hands on. * Some few who had friends to speak for them, were assisted afterwards in getting some part of their lost goods. This in two or three days about 8,000 people, many of whom were in good circumstances, and some rich, were rendered homeless, houseless and penniless, and exposed to all the ills of captivity. In driving them a platoon of soldiers walked before and behind, and a file of soldiers on each side, armed with all the common appalling instruments of death; while the soldiers, it is said would often use the same language as if driving hogs, and goad them forward with their bayonets. One man, on being pricked thus, and seeing his children thus goaded on, picked up a stone and struck a soldier; but for this he was handcuffed, and on arriving at the fort, was punished and on starting again was whipped a hundred lashes. Those taken to the fort at New Echota, were confined day and night in the open air, with but little clothing to cover them, when lying on the naked ground." Cherokees did not have to go on the Trail of Tears. 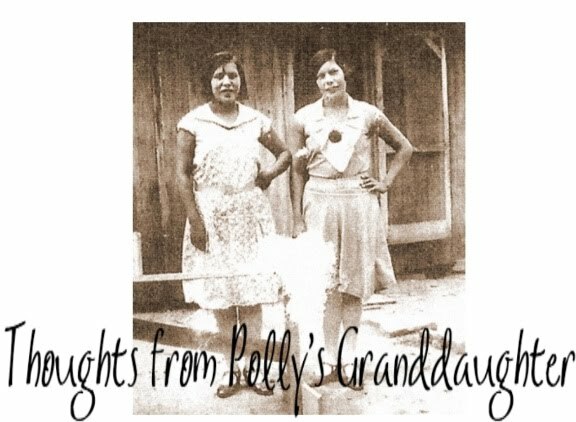 ** They had the option to relinquish their citizenship in the Cherokee Nation and become citizens of the United States if they wanted. They could stay in the east if they did so. The ancestors for those in the Eastern Band of Cherokee Indians had done so***, and were allowed to stay in the east. 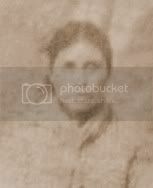 The reason our ancestors, the ancestors of authentic Cherokees, were rounded up like cattle and hogs; held in stockades like animals; given food unfit for human consumption; and marched across the country in terrible conditions, is because they refused to relinquish their citizenship in the Cherokee Nation. They were tribal people and they stayed with their nation of people, no matter what. They are the reason the Cherokee Nation exists today. Never forget the sacrifice our ancestors made so that we could call ourselves Cherokee. Never, never forget. Butrick journal entry from "The Journal of Rev. Daniel S. Butrick"; May 19, 1838 - April 1, 1839; Cherokee Removal; Monograph One; The Trail of Tears Association, Oklahoma Chapter. *Edited by me from "they could they put their hands on" for readability. ***The Oconaluftee Cherokees claimed the 1835 treaty did not apply to them because they had left the Cherokee Nation under the Treaty of 1819 and had become citizens of the state of North Carolina and of the United States. A shameful period in American history.